With Rushmore, writer/director Wes Anderson beelines it out of Wes Andersonville toward a place that resembles the world you and I inhabit. In Wes Andersonville, individuals are quirky beyond recognition—sometimes overwritten into oblivion. 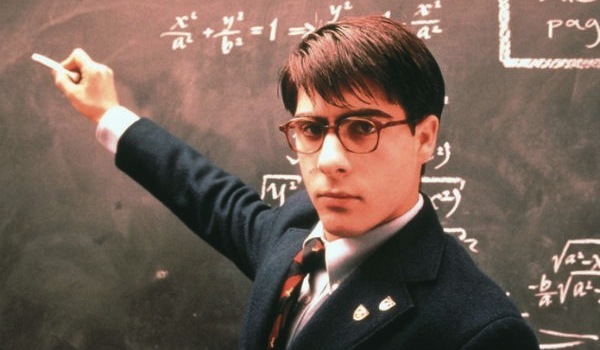 Rushmore‘s lead character, Max Fischer, is a proud citizen of Wes Andersonville, but unlike the director’s other films, this one features a lead character forced to assimilate with normal people. The results are pretty fantastic. The film’s title refers to the elite private school Fischer (Jason Schwartzman, in his film debut) attends. Rushmore is the most important thing in the world to Max, and as such, he shirks his studies in favor of extracurriculars like the Stamp & Coin Club, Calligraphy Club, Astronomy Society, Fencing Team, and the Rushmore Beekeepers. He also writes, directs, and stars in intricate stage plays. His grades, however, are truly unacceptable considering he’s attending Rushmore on full scholarship. Rushmore’s headmaster, Dr. Guggenheim (Brian Cox), informs him he’s on “sudden death academic probation.” In other words, if he fails one more test, he’s out. This doesn’t deter Fischer in his continued quest to make Rushmore the best place on Earth; In fact, he becomes more resolute after meeting and falling in love with a Rushmore elementary school teacher (Olivia Williams’ Ms. Cross). But it’s an unrequited sort of love, sadly, and his grand gestures draw the ire of Dr. Guggenheim enough that he’s expelled. There’s another essential character in the mix—Bill Murray’s Herman Blume. A wealthy industrialist, Blume takes a liking first to Max, then to Ms. Cross. It’s his relationship with the latter that drives the bulk of Rushmore‘s hilarious second half. To this point in his career, Murray hadn’t successfully pulled off a role like this before. Now, it’s his M.O.—especially when Anderson is behind the camera. Here, he’s great. He and Schwartzman have particularly good chemistry. Rushmore ultimately encapsulates everything Anderson supporters love about his films, and his detractors have better things to say about it than any other Anderson effort. It’s the way he mixes his standard stylistic impulses with things normal people say and do that puts it over the top. 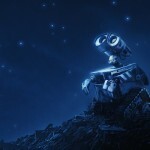 Is it the director’s best film? Not for my money. But it’s arguably his sweetest and definitely one of his most watchable.